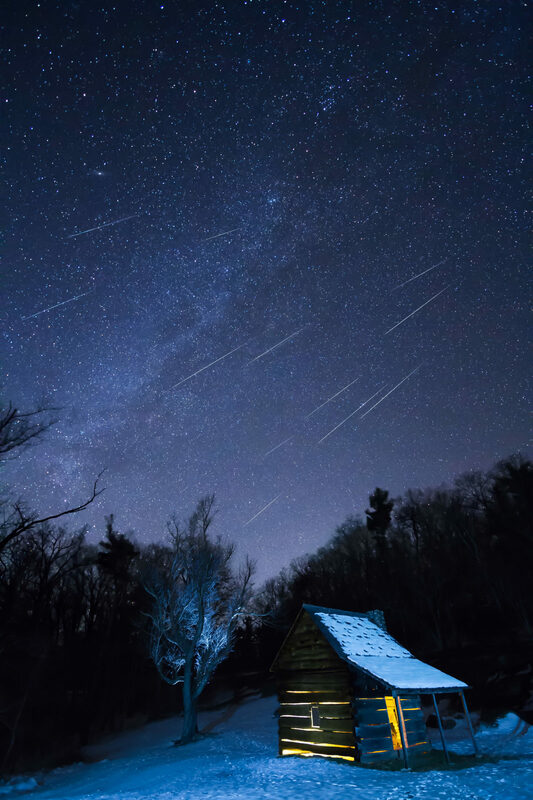 A recent snowfall on the Blue Ridge Parkway coincided with the Geminids meteor show in mid-December. Having been to this location before, I knew I could get a decent amount of sky while including the 19th century cabin. To capture this shot, I light-painted the inside of the cabin in 1 exposure, lighted the snow in a series of 3 other exposures, then had 2 hours of 30 second exposures on the sky to capture as many meteors as I could. These shots were then blended as layers in photoshop to produce this composite image.